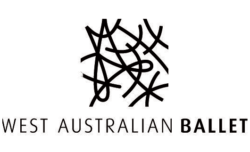 The Artistic Director of West Australian Ballet, Aurélien Scannella, is searching worldwide for an exceptional, passionate and enthusiastic person with exemplary experience in the art-form of ballet, to join our Company in the role of Assistant Ballet Master or Mistress, in Perth, Western Australia. West Australian Ballet (WAB), based in Maylands, is a leading State Flagship Company, and Australian Major performing arts Company, presenting a dynamic and extensive series of ballet and contemporary dance works in metropolitan Perth, regional Australia and beyond. The Assistant Ballet Master is responsible for providing assistance to the Artistic Director and Artistic Team in the implementation of the Artistic Vision of the Company and in the preparation for and mounting of all performances and events. All employees of WAB must demonstrate a commitment to the Company’s mission “to enrich people’s lives through dance”, and the cCompany’s values of “access, excellence, innovation and integrity”. Suitably qualified applicants should apply to Mr Hilary McKenna, Artistic Administrator, via hmckenna@waballet.com.au (with Assistant Ballet Master Application in the subject line). The application should include a resume and cover letter addressing the selection criteria and must be received by Friday 15 February 2019. Applications received after the closing date or Incomplete applications will not be considered.Only shortlisted applicants will be contacted for an interview. If required, assistance will be provided by West Australian Ballet for the successful candidate to obtain an appropriate working visa for Australia. Engagement in this role is subject to the granting of an appropriate working visa by the Australian government. Job Categories: Arts and Culture. Job Types: Full-Time. Job Tags: assistant, ballet, dance, and performing arts. States: ~ Australia.